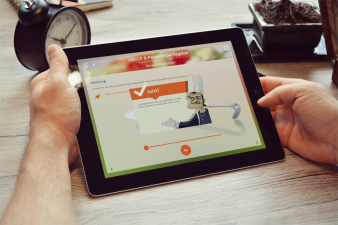 Obtain your HACCP hygiene code certificate with our online course. With the HACCP hygiene code course from HACCPdirect you can obtain your HACCP hygiene code certificate quickly, easily and comfortably. After registration you will receive your unique login details almost immediately. You can follow our complete course package via internet, at home or at work. So you will receive your certificate quickly. 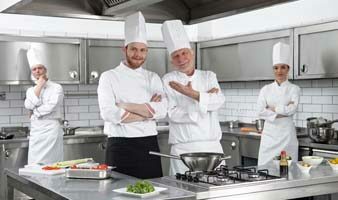 Why an HACCP hygiene code course at HACCPdirect? With HACPPdirect’s unique concept via internet you follow the HACCP hygiene code course much quicker and more effectively. The training costs are thereby reduced on all fronts. You can follow the course via internet anywhere, where and when it suits you. You end with an online exam. This way, the HACCPdirect course is many times easier, faster and cheaper than conventional offers! We organise everything from registration to your HACCP hygiene code certificate.